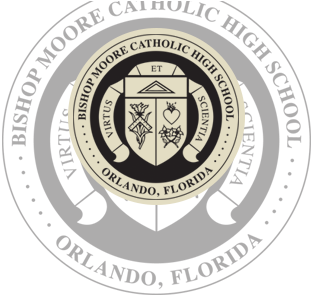 When you become a Bishop Moore Hornet, you’re a hornet for life! 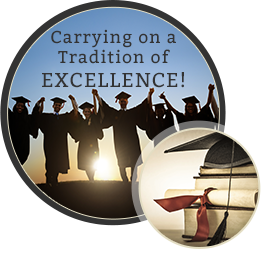 Welcome to our Alumni page, where you’ll find information about how you can help ensure our legacy of excellence continues, upcoming events, and much more. 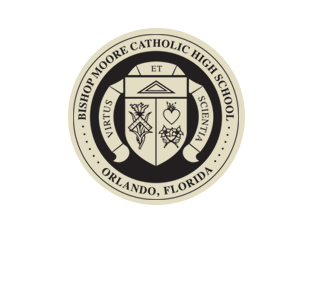 Bishop Moore Catholic invites you on campus to our annual alumni barbecue at 5:30 p.m. on October 18. The football team is hosting Eustis High School at Memorial Stadium. We are expecting a large crowd for Friday night, and dinner starts at 5:30 p.m. Please feel free to contact Tony Mehlich, alumni director, via email or phone at (407) 293-7561 ext. 267 with questions. We are providing dinner for all our alumni, sideline seating, and live music from the 50s, 60s, 70s, 80s, 90s, and 2000s! Enjoy the game, and welcome back! Go, Hornets! The barbecue and music will start at 5:30 p.m. The event will take place at the alumni tent. We will have a 30 ft x 80 ft tent located behind the west end zone with grandstand seating at ground level for all our alumni and their guests. Enjoy some food, drinks, and take the time to catch up with your old classmates. Mass under the pines at 12:30 p.m. The all alumni mass under the pines will be at our newly renovated alter. The mass will conclude at 1:00 p.m. followed by campus tours with our student body leadership teams. You will be able to visit old classrooms, athletics facilities, and our newly renovated dome/student center. Hope to see you there! We couldn’t do what we do, without the generous financial support and volunteerism of our alumni community and friends. Thank you! To find out how you can make a difference, visit our Support page or give a gift today. Welcome home, Hornets! Don’t miss our next event; keep your information up-to-date using our online form. We will be in touch with you after you submit your form. Thank you! Planning your next reunion? Let us help you! 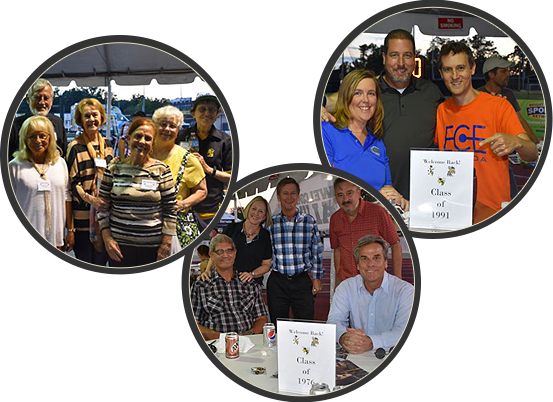 Check out our Reunion page for the latest information on reunion dates and events. Join one of our alumni committees to help support our alumni, our school, and our community. This committee creates networking opportunities for our alumni. Working in conjunction with our director of alumni, the committee will meet at least six times a year. Please visit our Bricks page to learn more about this exciting campaign. If you need a copy of your diploma or would like to request transcripts, please contact our Guidance Department. The helpful staff will ensure you have all the information you need to apply.